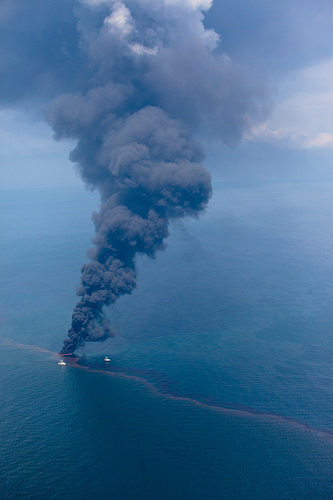 The attorneys at the Law Offices of Gregory Krasovsky provide legal support and represenation to individuals and businesses who pursue a BP Oil Spill Lawsuit. We are committed to helping plaintiffs recover a maximum BP Oil Spill settlement. If you do not yet have legal representation, contact a BP Oil Spill Lawyer today to schedule a free consultation. Although BP has promised to compensate all those injured monetarily and otherwise by the massive and irresponsible Deepwater Horizon disaster, many injured parties have yet to receive any funds to help rebuild their shattered lives. Fisherman have lost millions in profits as the oil spill killed off fish stocks. Oysters have become infected with the oil and have become unpalatable. Vacation properties have started to smell of gasoline and beach front properties were stained with the black of crude oil. At the Law Offices of Gregory Krasovsky, we understand that the people of the Gulf Coast have suffered, and, as such, we are here to help. We believe all injured parties are entitled to a fair compensation from the Oil Spill Liability Trust Fund (OSLTF). Additionally, we see no reason why injured parties should not pursue further claims against BP, the government, and subcontractors. We should note that receiving money from OSLTF often precludes your ability to seek additional damages in lawsuits. If you believe that you or your business has not been justly compensated, or has not been compensated at all, then contact the Law Offices of Gregory Krasovsky. We will tenaciously fight for fair compensation and maximum justice. If you have a claim, contact our attorneys today for a free consultation.